With life being ever so busy between family and work, it can sometimes feel like you are in a train racing down the Central Line, but missing all your stops. There may be times when you need just a little extra help getting things done like house cleaning. For those moments when you just cannot get it all done, you may consider hiring a cleaning company in London. This is becoming more and more popular for both everyday life and special events when you just cannot seem to fit daily chores into your tight schedule. Domestic cleaners in London can be hired on a long or short-term basis for every day house cleaning services or for a one off. 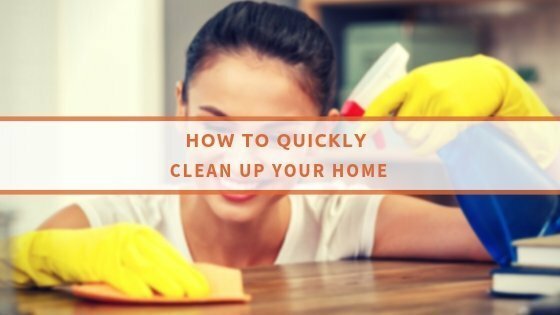 When you consider the time it would take you to complete the domestic cleaning and weigh it against the affordable cleaning rates for a home cleaning service, you are likely to opt to call in some help. There are a number of cleaning companies in London that can help you with any of these tasks. A quick search of the internet will yield a number of options for you to look into. This is an excellent starting point for hiring domestic cleaning services. Before you start your search for a domestic cleaner to help make life a little simpler, you will want to be organised and take some time to think about exactly what your expectations are. Decide what the job entails such as how many rooms you will need cleaned and how often do you want them cleaned. If it is an event or a project, decide whether you will need the professional cleaners before the project, during or after. Most domestic cleaning companies charge per hour, or they will estimate a cleaning price for more specialised cleaning services such as carpet cleaning or upholstery cleaning. Ask the domestic cleaning companies that operate in your local area about their insurance coverage and if they can provide references from previous or existing clients. Explain the situation to them, be clear about the state of the property, and see what they can do for you. You will be pleasantly surprised by how liberating it can be to have someone take the burden of chores off your busy hands. You will find that it is well worth the investment.